Toyota’s power purchase agreement would be the final missing piece in a plan that had been in the works for several years. The idea began in 2016 as a conversation between Johns and his longtime friend Edelen, now a Democratic candidate for governor. The project was in the works long before Edelen decided to run for governor. But in deep red Kentucky, Edelen acknowledges part of the appeal of the project is uniting people across diverse ideologies and backgrounds for a common purpose. The solar project was “just two Kentucky boys trying to help their community,” he said. The optics of the announcement are certainly a boon to Edelen, a progressive running against more centrist and better-known opponents in the gubernatorial primary. 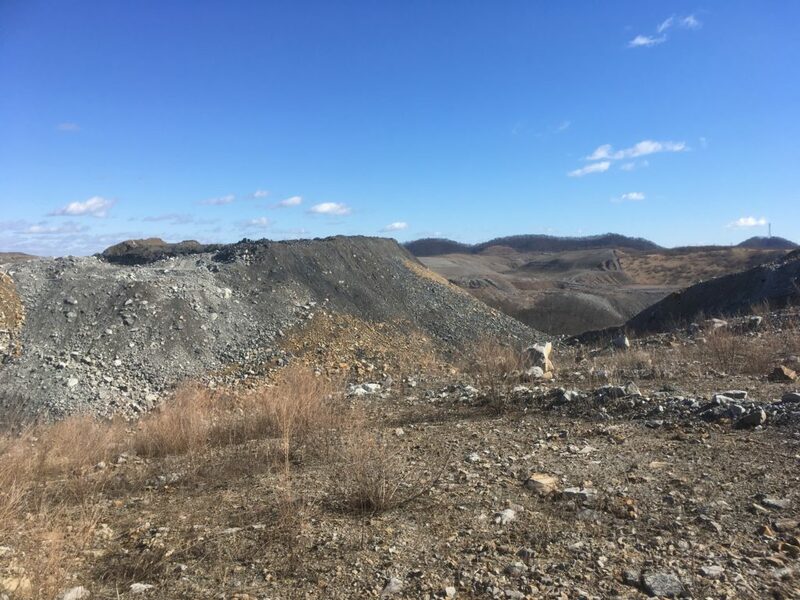 Johns said he hoped to help other coal companies redevelop surface mine lands into solar farms if the Pike County site is a success. Developers hope to break ground in summer 2019 and be fully operational by 2021. Hobson said businesses are pushing for renewable energy programs to meet corporate sustainability goals and to help their bottom lines. Virtual power purchase agreements are a popular way that corporations have chosen to pursue renewable energy goals. In those agreements, a buyer, in this case Toyota, pays a fixed price to the seller for the energy that’s generated, but the specific units of energy generated at the site do not go to the buyer directly. PPAs accounted for nearly five gigawatts of solar energy in the United States in 2018. For context, that’s 15.6 million individual solar panels. Toyota’s partnership with RH Group is the part of the company’s goal of a net-positive carbon impact by 2050. The company’s central Kentucky plant has been implementing renewable-energy and energy-efficiency solutions for years, with LED lights and methane-capture technology systems already in place. An investment of this size would make Toyota a significant player in what SEIA characterizes as a major push from corporations to embrace renewable energy. Adding 100 MW of solar energy would more than triple Kentucky’s existing solar energy output, which was less than 50 MW at last industry report. “An additional 100 megawatts in the Bluegrass State could produce enough electricity to power about 12,000 households,” said Hobson. 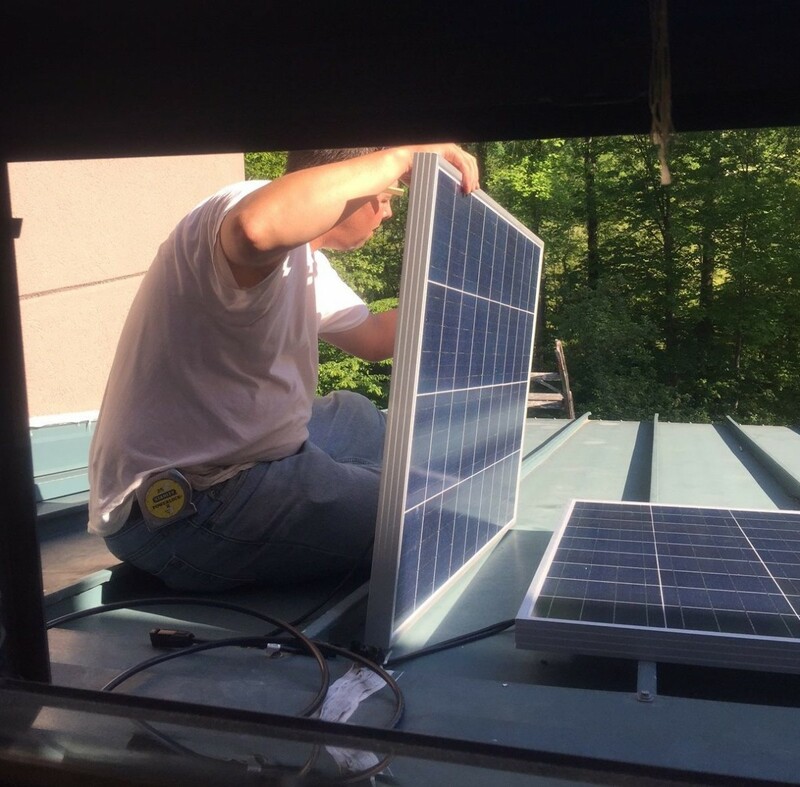 Restrictive net metering policies in Ohio Valley states have lowered the return on investment for residential and commercial consumers who install solar, and the region’s deep ties to the coal industry have made politicians reluctant to embrace renewable energy. Still, the economics are clear. Because of cheap natural gas, dozens of coal-fired generators have been retired or switched to natural gas in the Ohio Valley alone. The federally owned utility Tennessee Valley Authority voted in February to close more of its coal-fired power plants in Kentucky and Tennessee despite opposition from elected officials including President Donald Trump and Kentucky Governor Matt Bevin. The Kahlys installed an 18-kilowatt solar array. Fifty-two panels sit atop the steel roof that adorns the farm’s storefront. Inside, they sell cuts of the certified naturally-grown beef. Two inverters convert the energy created by the panels into electricity that can be used on the farm and sent into the grid. Anything extra they produce gets credited to their power bill. As small farmers, the Kahlys qualified for two federal programs through the U.S. Department of Agriculture: a low-interest loan from the USDA’s Farm Service Agency,and a federal grant through the agency’s Rural Energy for America Program that covered 25 percent of the cost of the panels. “There’s no question our electricity bills have gone up pretty dramatically the last three or four years because we’ve doubled down on coal in this state and the utilities have been able to purchase coal plants that were formerly owned by their merchant subsidiaries and put them in their regulated rate base,” Van Nostrand said. “It’s basically helping people to manage their electricity costs because our electricity costs are going up and they’re going to continue to go up,” he said. According to the National Conference of State Legislatures, 29 states, Washington, D.C., and three territories had adopted an RPS as of July, 2018. Eight additional states and one territory have set renewable energy goals. “So you’re building solar panels in West Virginia, installing them in West Virginia, you’ve got the payments for the electricity itself, the electrons, but you’re not getting anything for the fact that those electrons are produced by renewable resource unlike Maryland, unlike Ohio, unlike Pennsylvania, unlike Virginia,” he said. Already, employment data show states like Kentucky and West Virginia that don’t have pro-solar policies on their books are lagging behind their neighbors. According to the 2017 Solar Foundation solar jobs census, solar employs more than 6,500 people in Ohio. Kentucky has just under 1,300 solar installer, and in West Virginia it’s just over 300. 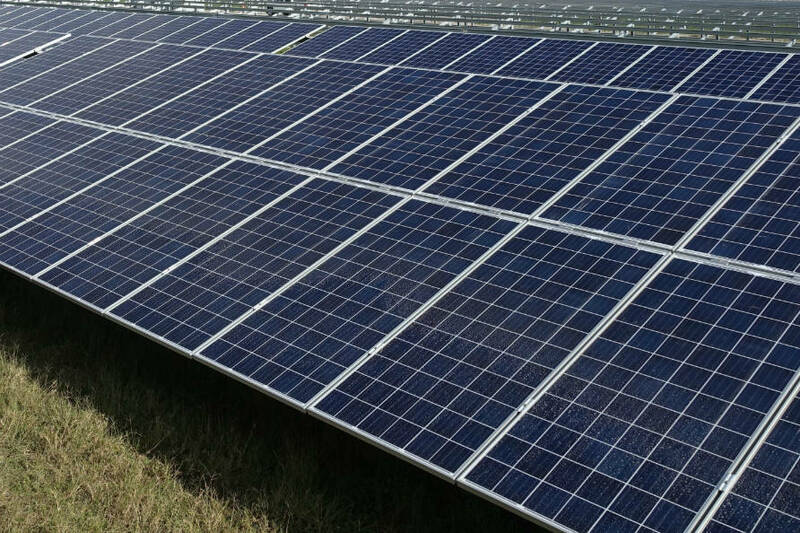 He and others have been working with utility American Electric Power in Ohio to leverage a massive proposed solar project to bring not only solar installers, but hopefully, solar supply chain manufacturers. “You’ve got to be a really good investor to have that kind of rate of return in the stock market right now I believe,” he added. AEP’s plan would bring jobs to an impoverished region, but its structure would break the established regulatory mold in a state that has pushed back on renewables. American Electric Power submitted a plan Thursday evening to work with two developers to build 400 megawatts of solar in Highland County, Ohio. It would more than triple the state’s current solar capacity and be a big step forward for solar energy in a part of the country where renewable energy has been slow to develop. But the project’s structure would break the established regulatory mold in Ohio, a state where utilities don’t own power plants and generators compete with each other to supply the cheapest power to the grid. “It’s a really hopeful move,” said John Quigley, director of the Center for Environment, Energy and Economy at Harrisburg University, who has written about so-called “just transition” for poor communities affected by the shift from fossil fuels to the new green economy. “It’s an eye-opener for policymakers that there’s a huge economic development opportunity for solar, especially in communities negatively affected by the energy transition,” he said. Another recent example is Xcel Energy’s plan to close its coal-fired power plant in Pueblo, Colorado, and build renewable energy projects there. AEP’s proposal is seeking to make an exception to this rule by having solar developers operate the solar farms on behalf of AEP Ohio. The costs would be passed on to the utility’s consumers, which AEP says is justified because of benefits to the environment and the local economy. Opponents likely will argue that this violates Ohio’s open market for electricity generation. In the market, owners of power plants compete to offer the lowest prices and utility companies do not own power plants. More than a dozen states similarly have open markets for electricity generation, including much of New England and the Great Lakes region, and Texas, among others. “If you rely exclusively on the market you lose some of the innovative economic development that’s laid out in this filing,” he said. This story was originally published by Inside Climate News.